Easy Step by Step Book for Kids To Draw Anime Manga Cartoon Characters. 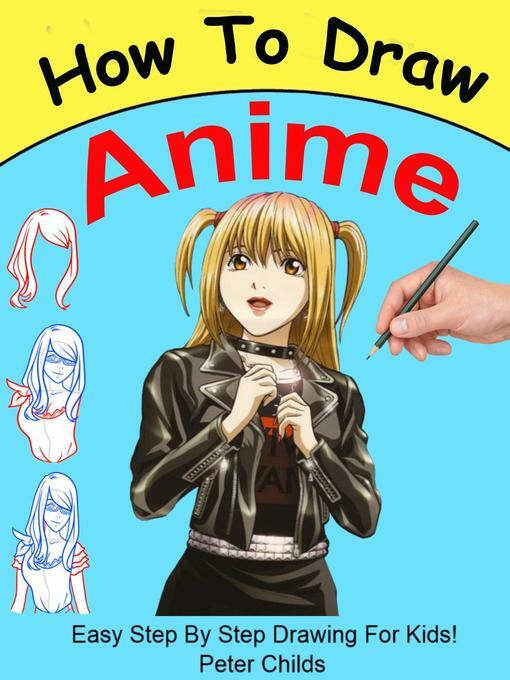 The "How To Draw Anime " guide will enable your child to communicate with the outside world with visual intelligence. They will learn to express their feelings, emotions and wants more efficiently. Peter Child's " How To Draw Anime " will help your children develop important cognitive skill . They will learn to express their emotions by drawing cartoon characters of anime manga that they see in the TV . This will teach them how to become a better artist. This book in targeted towards young aspiring artists seeking to develop their technical and drawing skills and build a repertoire of skills. Gradually your children will learn to express their feeling towards their family, friends and loved ones. They will start to correlate them with anime characters in a funny and constructive manner. With time , your children will build confidence in drawing . At the same time they will be confident to recognize common cartoon characters and reproduce those using a pencil and a piece of paper. If you are looking for a drawing book to guide your kids through step by step, you got it! This book is simple at the same time challenging. Simplicity will mean that your children will enjoy their work. Challenging will mean that they won't get bored . They will progress higher by going through the steps.